PRE-LEASING AUGUST AND SHORT TERM LEASE AVAILABLE!! Cute 2 bed/ 2 bath Cripple Creek condo, downstairs and an end unit. Kitchen has many updates, granite, back splash, matching stainless appliances, and pantry. 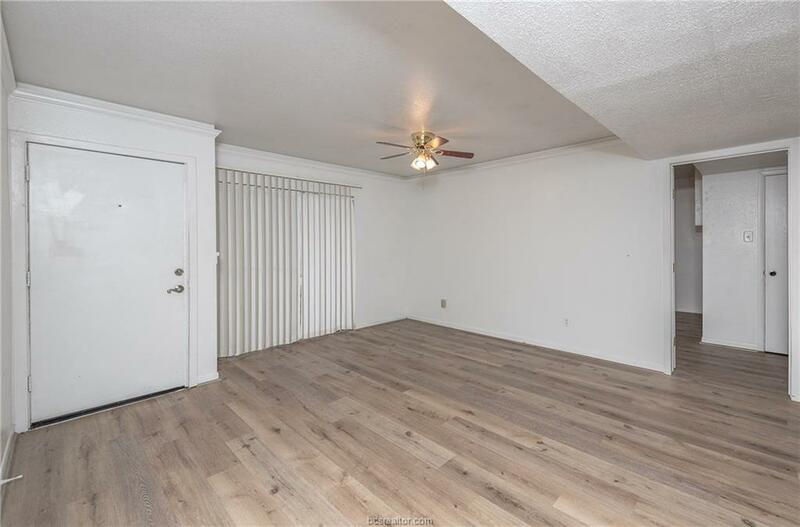 We recently removed the built ins in the living, hallway, and both bedrooms to open up the space more, new flooring coming soon!Come check out this updated unit today! This unit has full sized stacked washer and dryer, includes fridge and overlooks the pool and tennis courts. Available for immediate move-in for $850. Sourceof Heated Area: Central Appraisal Dist.